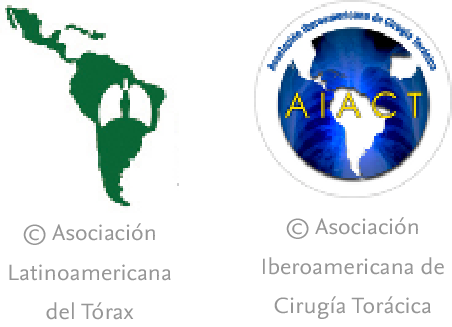 We would like to comment on a situation that, in recent years, has led to the adoption of a series of agreements between the most important respiratory medicine journals (American Journal of Respiratory and Critical Care Medicine, Chest, European Respiratory Journal and Thorax) and the Forum of International Respiratory Societies (FIRS). Similarly, Dr. Max Clara, who described the cells that bear his name, was also an active member of the Nazi party.7 Clara himself admitted in 1937 that his finding of non-ciliated secretory cells of the bronchiolar epithelium was based on samples obtained from prisoners executed by the Regime. According to the methodology reported in his articles, these samples were “preserved by vascular injection immediately after death”.8 It has also been demonstrated that the Clara's scientific research during this time period was directly linked with the abundance of “anatomical material” available at the time.9,10 Finally, it seems that both he as well as his collaborators directly participated in experimentation with prisoners who were later executed.10,11 In the aftermath of the war, Clara was arrested and imprisoned for a short time, after which he was no longer accepted in any German academic institutions but continued to practice in Turkey. In this case, it has been proposed that the term “Clara cells” should be changed to “club cells” or “bronchiolar exocrine cells”.10 Also, the expression “Clara cell protein” should be substituted with “protein secreted by club cells”. J.C. Jennette, R.J. Falk, K. Andrassy, P.A. Bacon, J. Churg, W.L. Gross, et al. Nomenclature of systemic vasculitides: proposal of an international consensus conference. Dr. Friedrich Wegener, the ACCP and history. A. Woywodt, M. Haubitz, H. Haller, E.L. Matteson. Wegener's granulomatosis—probing the untold past of the man behind the eponym. Dr. Friedrich Wegener and the ACCP, Revisited. ANCA disease: where is this field heading?. NSDAP membership card of Dr. Max Clara, 1935. Archive: Bundesarchiv, Berlin. Signature: BArch (former BDC), NSDAP-Zentralkartei. A. Woywodt, S. Lefrak, E. Matteson. Tainted eponyms in medicine: the “Clara” cell joins the list. The Clara cell: a “Third Reich eponym”?. Untersuchungen über das Vorkommen von Vitamin C im Hoden des Menschen. Anatomy in the Third Reich: an outline. Part 1. National socialist politics, anatomical institutions, and anatomists. Reiter's syndrome versus reactive arthritis: Nazi-phobia or professional concerns?. Should eponyms be abandoned? Yes. Please cite this article as: Gea J, et al. Enfermedad de Wegener y células Clara: la eponimia y la dignidad médicas en medicina del aparato respiratorio. Arch Bronconeumol. 2013;49:126-7.